Think it Not Strange is the latest short book from John Piper, on persecution in the Christian life. In 90 short pages, half a dozen authors from around the world study persecution. Piper and the others present this book as a short companion for American Christians: they take the Bible’s teaching on persecution and apply it to the American church and changing culture. Think it Not Strange is an excellent book that reminds us that the past – not the coming future – has been exceptional. “In these short chapters, a diverse team of contributors, representing six continents, joins together to help American Christians get ready for the insults, trials, opposition, and even persecution that may lie ahead.” Many of the authors were speakers in the 2016 BCS Pas-con who have adapted their talks. 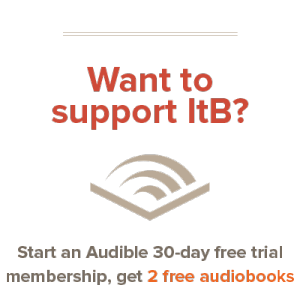 These speakers bring the real value to their book. Listening to any teaching on persecution is valuable, but how much more so to hear from those who have been persecuted? The American church can be proud, even vain, and Think it not Strange is a reminder that there is still much to learn. Even as we have thrived, others have faced rejection and persecution for the sake of Jesus. Persecution and disfavor have always been the norm for Christianity, not the exception. Throughout, the message of the book is simple. A different author wrote each chapter, and the beginning and end of the book are written by Piper. Think it Not Strange revolves around the gospel of Jesus as the foundation of our lives. The proper response to persecution, Piper argues, is not to change foundational beliefs, but to strip the excess from our faith. 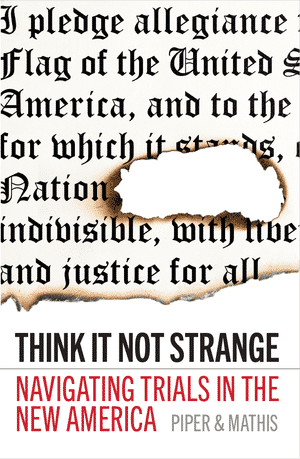 I appreciated the diversity of Think it Not Strange, and its contributors prove to be its biggest strength. From Joe Rigney on how persecution affects Christian creativity, to Dieudonné Tamfu on the familiarity of suffering, I benefitted from the varied viewpoints spread across the book. And while each piece is separate, each builds on the last, culminating in a final call to gospel faithfulness by Piper in the conclusion. I recommend Think it Not Strange without reservation. This book is a call to faithfulness and hope in the simple gospel of Christ. Persecution and disfavor have always been the norm for Christianity, not the exception. Again and again, all the diverse voices in this book telegraph one message. Jesus is our worth, our hope, and our sustainer, and that is a message that will never be unwelcome or out of date.